The orchid Spiranthes ovalis at Pleasant Valley Conservancy. 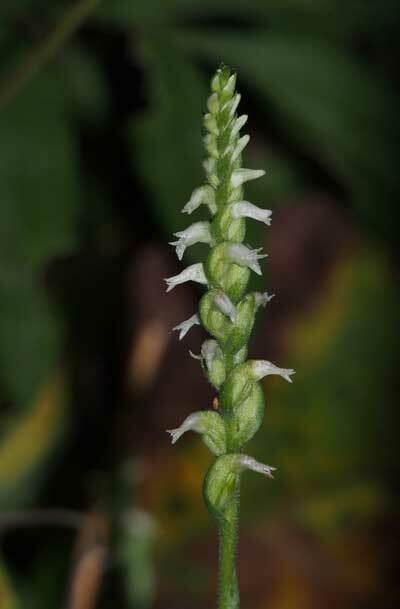 Spiranthes ovalis is a relatively uncommon member of the Orchid family. In Wisconsin it is a Special Concern species with a C value of 10. The Wisconsin Herbarium has a few collections made some years ago, all from Grant County, and a population was also recorded in 2013 from Waukesha County. 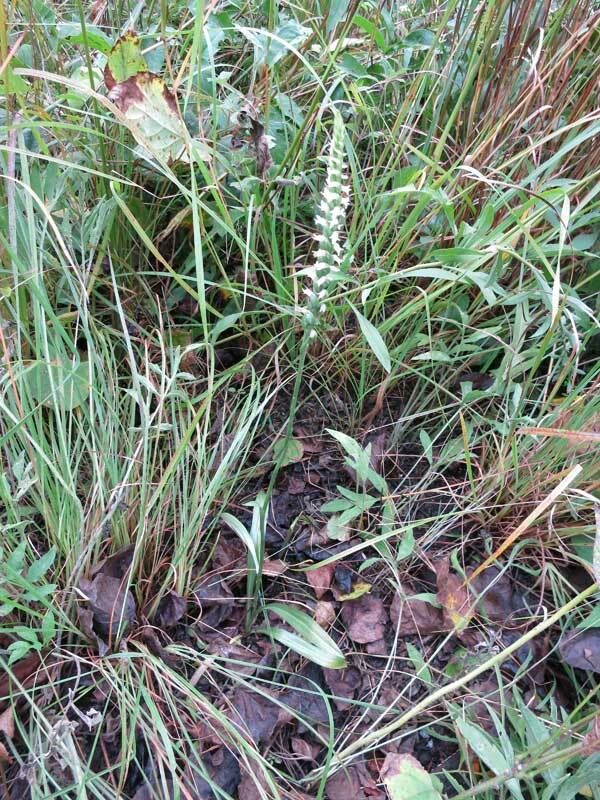 (See Carter and Pace paper in The Michigan Botanist, Vol. 52, pp 105-108.) The Wisconsin Natural Heritage Inventory also shows this species in a few other counties in southwestern Wisconsin. However, all of the sites where this species has been observed are very small, making conservation of this species the highest priority. In a recent visit to PVC, Scott Weber and Muffy Barrett of Bluestem Farm discovered S. ovalis in our bur oak savanna. 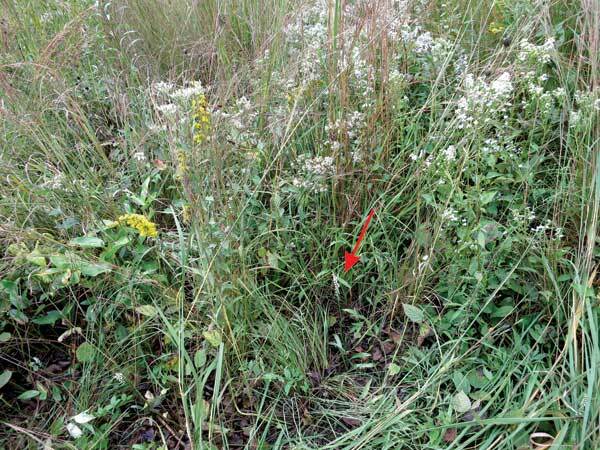 This small population, 7 plants, was almost buried among tallgrass savanna, but the tiny plants were erect and healthy. 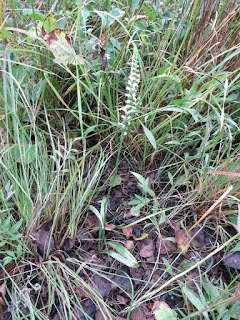 Later Kathie and I discovered another small population (4 plants), also among the bur oak savanna. More sites may well be present, but because of the tall lush grass and forbs at this time of year, it is difficult to search for such tiny plants. You have to stumble on them. According to the Wisconsin DNR, this species is found in “open bur oak-shagbark hickory forests on dolomite”. This is exactly the habitat where the PVC populations were found. 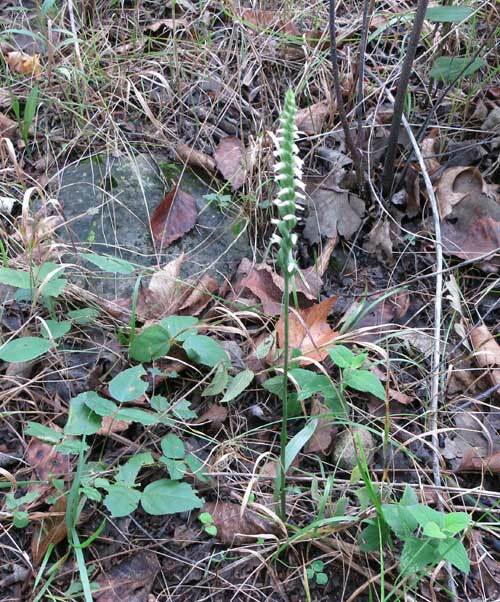 We had seen Spiranthes plants a few years ago but thought they were the more common S. cernua. It took a visit from Scott Weber, an orchid expert, to recognize what we had. 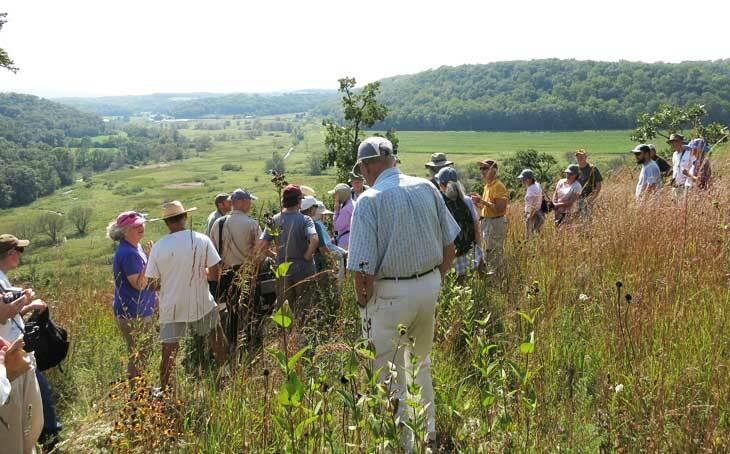 The Labor Day field trip at Pleasant Valley Conservancy has become a tradition. The first Labor Day trip was held in the 2005 and we have held one every year since. See this link for photos of earlier trips. This year the trip was on Sept 5 2016. Labor Day is an ideal time for a prairie trip, because the warm season grasses are in full flower and the fall forbs provide lots of color. The weather is still good. Also, most people don't have to work! 2016 Labor Day field trip at the Overlook. The warm season grasses are in full flower. This year we had 35 people. Some were repeaters, a few who come every year, but lots were new, who have either heard about PVC from friends, TPE or MAS websites, or perhaps from our Facebook page. One tradition which Kathie has maintained is seed collecting. Those interested are given a sandwich bag and given the chance to collect one of the savanna grasses (bottle brush, silky rye, or riverbank rye) whose seeds are still ripe for collecting. Some people have never collected seeds before and discover how easy it is. Others are "old hands" and are happy to help out. The Overlook shown in the photo is an ideal spot. It's fairly remote (for this part of the world), is reached after a good long walk, and in one location shows all of the habitats of PVC: wetland, wet prairie, mesic prairie, dry prairie, bur oak savanna, and oak woodlands (if you turn around and look the other way). Many of the bur oaks here are over 200 years old! And there is a Leopold Bench to sit on. This location demonstrates very well ecologist John Curtis' "continuum" concept. To the south there is a view of Blue Mounds, and to the north the bluffs on the other side of the Wisconsin River are visible. This is also an historic location, because the last battle of the Blackhawk War, which opened up Wisconsin to settlement, took place in this area. The U.S. Army was stationed at Fort Blue Mounds, and the soldiers marched down County F past PVC on their way to what is now called Blackhawk Ridge, where the battle was held.